This blog posting won't work without help from you all by way of commentary. This twitter post has been knocking around the Internet mainly because it's a great idea. I snagged it from Daily Timewaster. 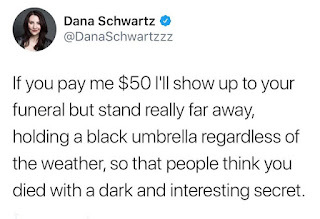 $50 is a fair price, but what would it cost to have her throw myself onto my coffin and wail? Would she be willing to wear a fetish nurse outfit (which would explain my lack of energy before I expired)? 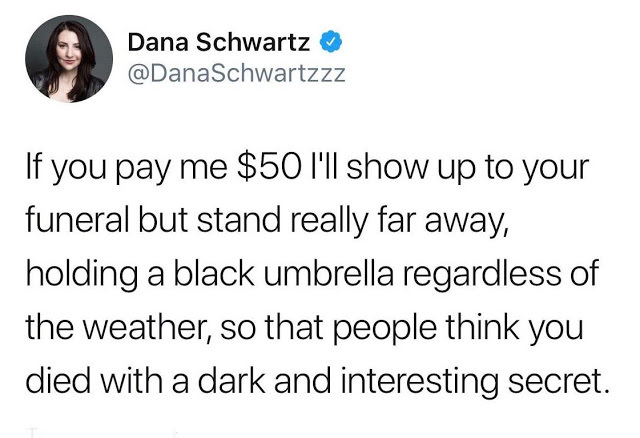 I've got a lot of dark and interesting secrets there may be others there who are unpaid... She'd need to stand out from the crowd if I would authorize a payment of $50. 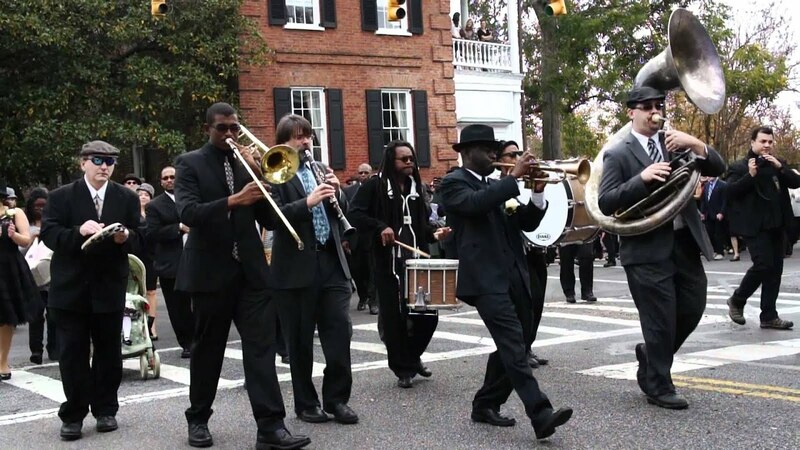 I always thought that one of those New Orleans funerals would be cool, with the brass band (locals playing a jazzed up durge), the twenty or thirty paid mourners, also black. Wailing about how the mazza be gone now. What de gonna do? The cortege would wind its way back and forth holding the coffin until out of sight, and they'd likely toss the coffin on a garbage heap. 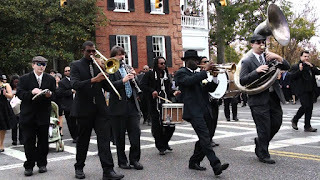 Too many funerals are sad or boring. A wake isn't a bad idea but most of my friends are aging and two shots of Tullamore Dew (long pour) would put them under the table.